Comprehensive prep with an exclusive algorithm, subject-specific online tools, plus Math and Verbal Fundamentals LiveOnline Sessions. We're all about customized prep for you — from practice tests, to adaptive drills and interactive lessons. 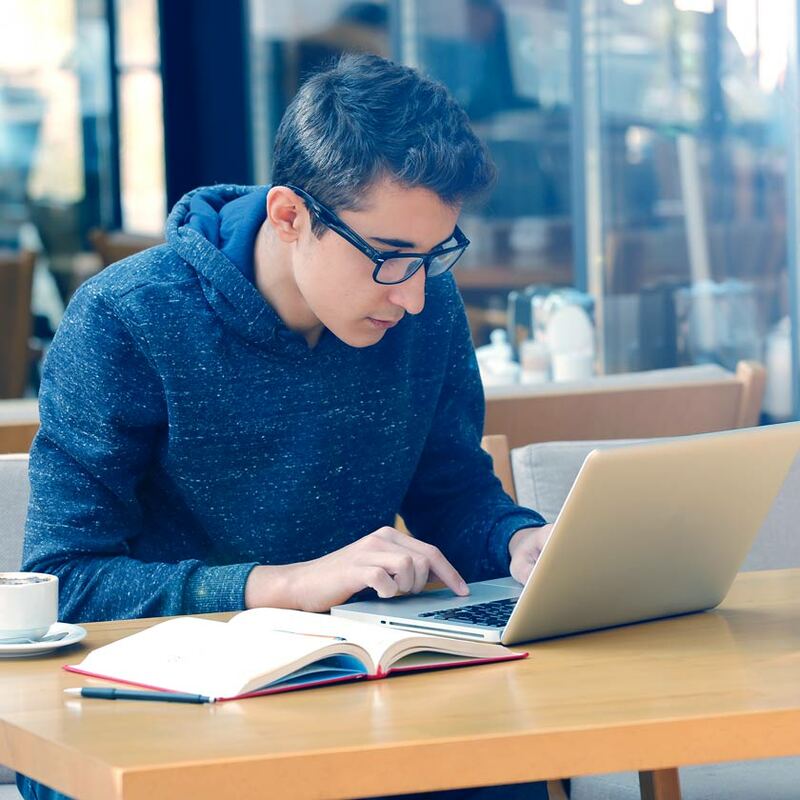 Start your prep by attending LiveOnline classes taught by our expert instructors that review foundational GRE math concepts — only for the Comprehensive option and Math module. On-the-go access to video-based lessons and drills that adapt to your level of difficulty. If you are not happy with your score on the actual GRE, you are welcome to repeat the course at no charge. As a future business leader, you know there are many ways to approach a problem. There’s more than one way to prep for the GRE, too. With GRE Self-Paced, your online prep is personalized to you—our algorithms will optimize your point potential, and you'll choose your prep schedule and intensity, so you can chart your own path. Hit a problem that you just can't solve? Our video-based lessons will break it down and get you through the topic in the most efficient way. 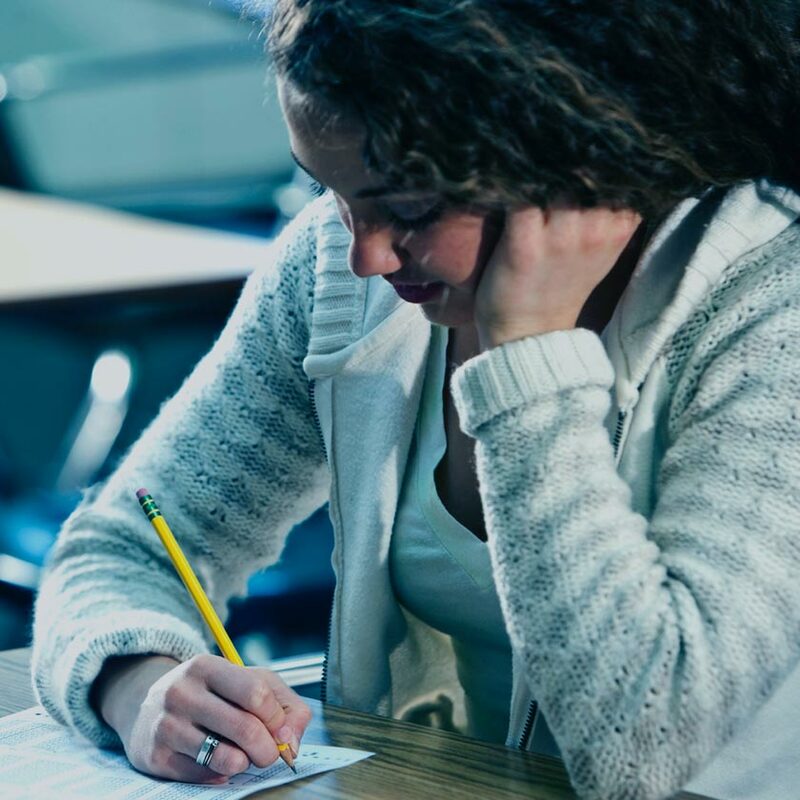 Your Comprehensive Prep gets a boost with unlimited access to GRE Math Fundamentals and LiveOnline sessions that review foundational math concepts taught by one of our expert instructors. Take the most efficient path through your prep. Practice Like It’s Game Day. 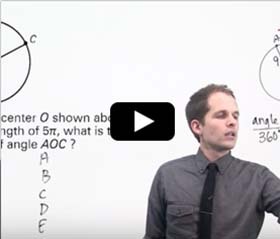 Get expert help with the foundational concepts of GRE math. 8 computer adaptive-by-section practice exams. Interactive score reports for focused test review. More than sit and stare. 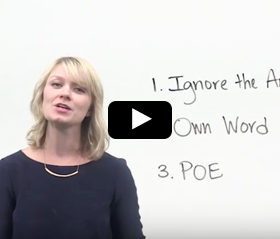 Learn a concept from one of our expert instructors and immediately apply it using activities and GRE-style questions. 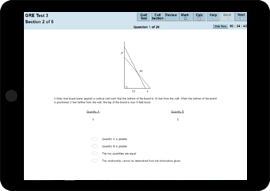 Use DrillSmart to get a feel for adaptive by section exams. 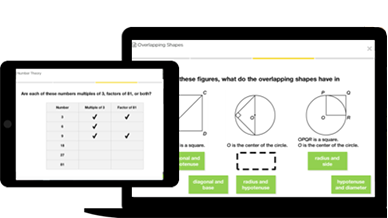 Choose a drill topic and, as you progress, our algorithm reacts just like the real test, with an easier or harder subsequent drill. As you practice, it identifies areas in which you need to improve—and can target them next time! Get help on your schedule. If your math skills are out of practice, this is a great opportunity to learn more directly from an instructor. Check your online student portal for session topics and dates—and you’ve got an all-access pass. Get ready for test day! Our tests replicate the real GRE’s adaptive-by-section algorithm. Our tests ensure you will have ultimate confidence once the big day arrives. No one shows you how to learn from a GRE exam like we do. 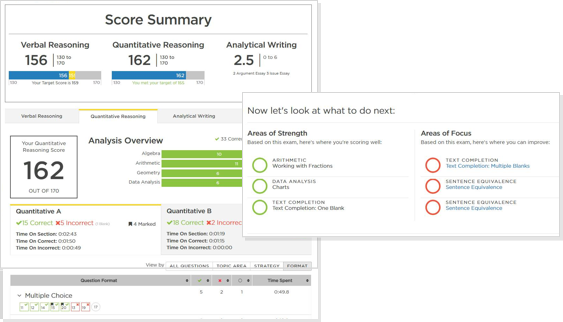 Review data on your performance in a way that makes sense to you, using our score reports that can be sorted by topic, question type and time spent. 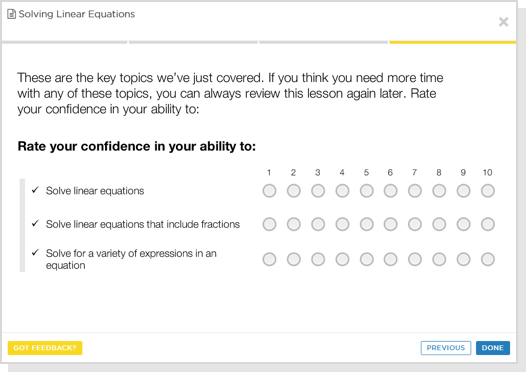 You can also access a detailed explanation of every question on your exam.